Seoul, South Korea & Los Angeles, California (November 21, 2017) – CJ 4DPLEX has today announced that 4DX – the world’s first and leading 4D cinema technology for feature films – has partnered with the innovative cinema exhibitor, KITAG Cinemas. The cinema operator is the largest in German-speaking Switzerland with 85 screens and 17,000 seats at the following locations: Basel, Bern, Biel, Lucerne, Emmenbrück/LU, St. Gallen, Abtwil/SG, Winterthur and Zurich. The new 4DX auditorium will be located at KITAG Cinemas Abaton in Zurich – which has 12 auditoriums with a total of 1,759 seats. It is scheduled to open before the end of the year. The KITAG Group has set new standards in the Switzerland cinema industry constantly incorporating numerous innovations and hosting film premieres with major international stars. These standards have also attracted considerable attention outside Switzerland. KITAG CINEMAS will strengthen its position as leader of innovation in cinema business through this new partnership with 4DX. The new partnership comes on the heels of rapid growth for CJ 4DPLEX, the immersive cinema technology format behind 4DX, in Europe. 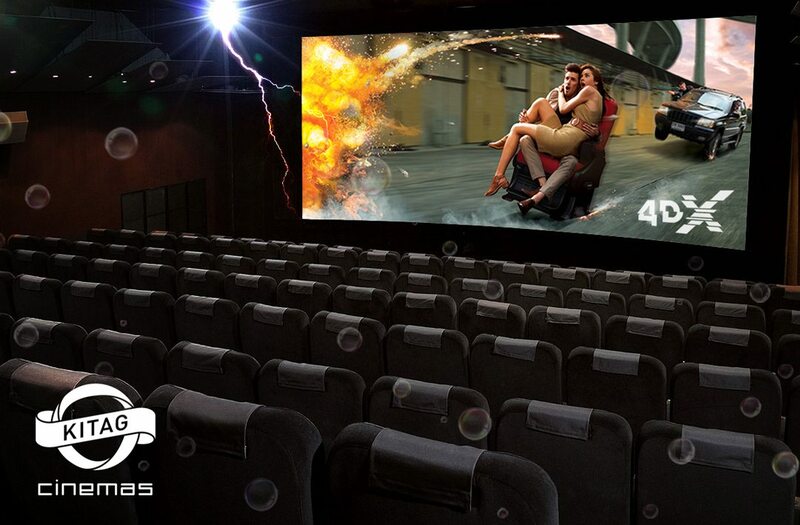 4DX has opened 15 new 4DX screens in Europe, increasing the number of seats on the continent by 32.6%. In 2017 so far, new theaters have opened in Hungary, Norway, France, Turkey, UK, Austria, Romania, the Czech Republic, and Poland. 4DX has a passionate following in Europe, which can be seen by recent strong showings from tentpole blockbuster films in comparison to 4DX screens worldwide. The top five movies releases in Europe in 4DX generated an occupancy rate of four percent higher than the global average occupancy (37%) for 4DX during the first opening week. This is especially interesting as the average numbers of seats in a 4DX auditorium in Europe is 130, while the global average is only 122. As an example of the success seen across the region, two sites that opened in 2017, one with Les Cinémas Gaumont Pathé in Paris, France and the other with Nordisk Film Cinemas in Oslo, Norway, have hit an average occupancy rate of over 60% from the time of its opening in March until now. Les Cinémas Gaumont Pathé will open 30 4DX theatres in France, the Netherlands, Switzerland, and Belgium by 2020. The exhibitor will also bring nine additional screens to Denmark, Norway, and Sweden by the end of 2021. KITAG Cinemas is the largest cinema operator in German-speaking Switzerland with 17,000 seats in 85 screens at the following locations: Basel, Bern, Biel, Lucerne, Emmenbrücke/LU, St. Gallen, Abtwil/SG, Winterthur and Zurich.